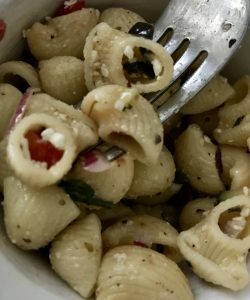 I love a good pasta salad! 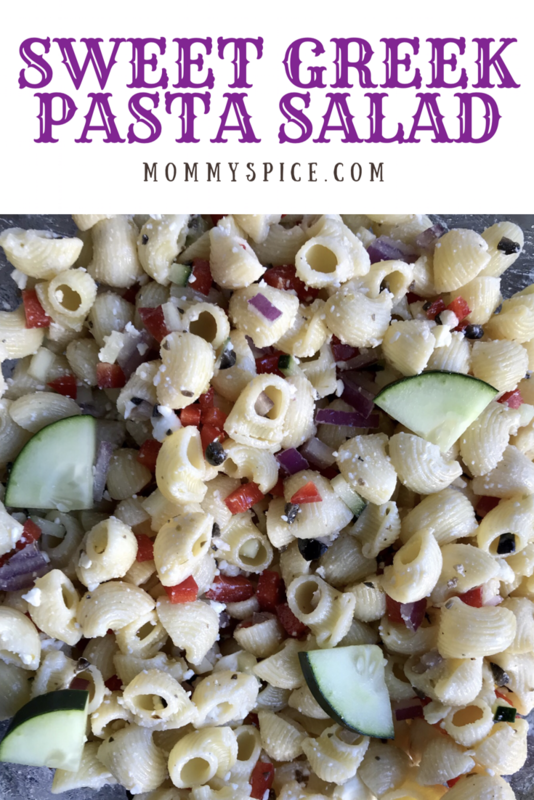 Even when it’s not BBQ season, I find pasta salad to be one of my favorite lunches. The endless combinations of pasta shapes, veggies and flavors are a foodie’s dream. 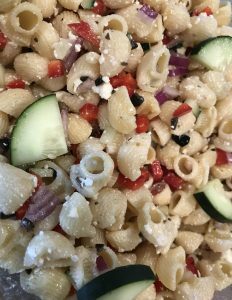 This greek pasta salad gets its name “sweet greek” due to the fact that I left out the traditional cherry tomatoes and instead added red bell pepper in their place. You still get the same vibrant red color, however you now have a really nice sweetness that wasn’t there before. I toyed around with the dressing quite a bit on this one and found that the perfect combination is a mix of greek yogurt and greek dressing. It adds just enough creaminess to make sure your dressing sticks to your pasta but not so much that it feels heavy like some mayonnaise based pasta salads can. Cook your pasta of choice, in salted water until al dente, then set aside to cool. Next up combine your greek yogurt and greek dressing. 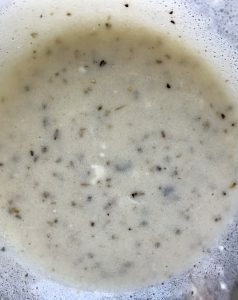 I used store bought greek dressing to save some time, however if you’d like to make your own, go for it! Combine cooled pasta with dressing and mix well to combine and coat each pasta piece. Then chop all your veggies, you can either try and keep them all the same size or mix up size and shape, the choice is yours. 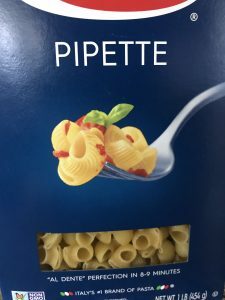 I really love to use this pipette shape pasta, it’s like an elbow and shell noodle combined. I like how it’s clamped at one end to trap yummy dressing or minced up veggies inside. 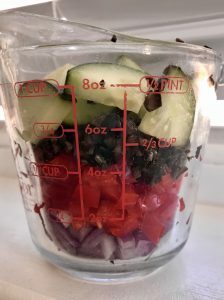 I usually mince the red onion and black olives, then small dice the red pepper and leave the cucumbers a little bigger for a nice variety or shapes and good eye appeal. This is one of those eat the rainbow dishes I love so much! Once all pasta and veggies are mixed with the dressing, top with feta cheese and stir once more. Seal in an air tight container and place in the fridge. I find that most pasta salads get better the longer they set. I usually strive for at least overnight to let everything marinate together really well. However an hour or two will do in a pinch. My tip for this one, is to never rinse your pasta! Even if you’re in a hurry to cool down your pasta. You will lose all natural flavor the pasta has and rinse off all the starch in the pasta which is what helps the sauce or in this case dressing stick to it.